Many individuals with autism have trouble handling unstructured periods of time. The use of a visual schedule can minimize anxiety and encourage smooth transitions between activities. 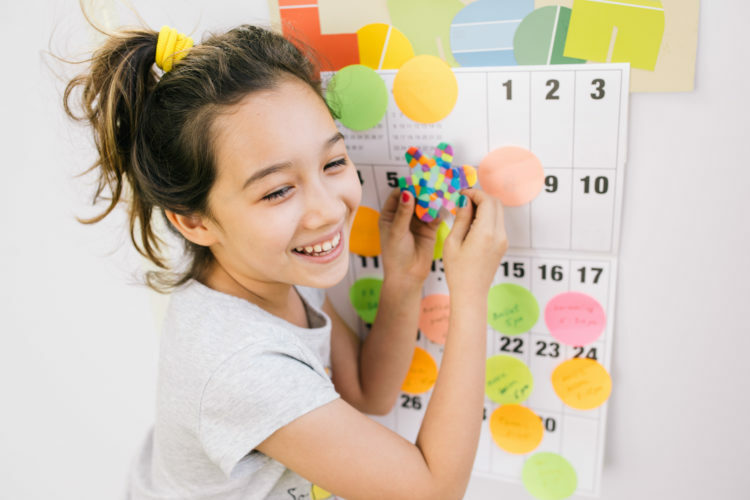 With consistent use, a visual schedule may help children with autism increase their independence, reduce inappropriate behaviors, and transfer skills to a variety of settings. A visual schedule is a list of activities with corresponding images. Some visual schedules are broad and include all the main activities that will happen during any given day. For example, these activities might include going to school and visiting grandma’s house. Other visual schedules are focused on one specific activity or task. They depict all the steps necessary to complete that task. Children who have limited language skills may need to start with object schedules before moving on to visual representations. An object schedule uses actual objects to transition individuals from one activity to the next. For example, when it’s time to play outdoors, the parent might hand the child a blue ball. This ball would be used to indicate that specific activity every single day. When it’s time to eat lunch, the child might be handed a spoon. 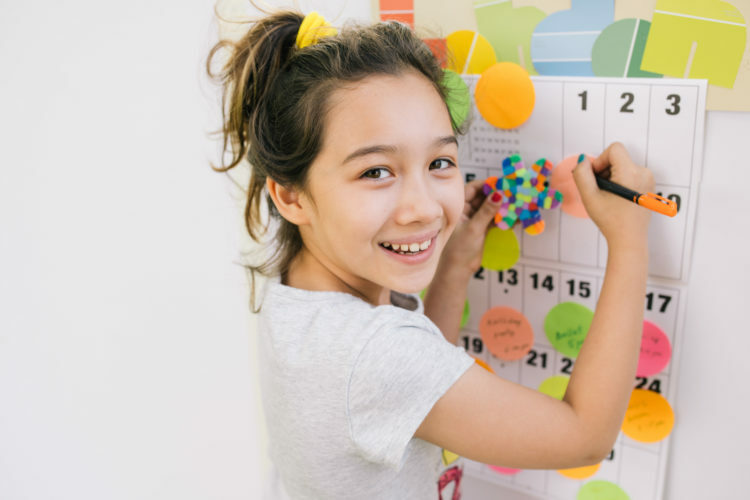 If your child started with an object schedule and the ABA therapist believes it’s now time to transition to a printed visual schedule, your child will need to be taught to check the schedule. An object cue can be helpful. For example, if your child is showing signs of anxiety, you might hand over a pencil or a picture of a pencil, and guide your child to the schedule. Some parents find that their kids feel overwhelmed if their visual schedules are too lengthy. If your child seems to have trouble with this, try using a schedule with just three to four items on it. Gradually, you can add more items as your child adjusts. Here at The Behavior Exchange, our behavior analysts understand the importance of consistency across different environments. We regularly hold parent training sessions to help families learn how to consistently apply ABA therapy techniques at home and out in the community. To inquire about our next available parent training session, call our ABA therapy center in Plano or Frisco at 888.716.8084. For children with autism spectrum disorder, or ASD, snack time can be a challenge. 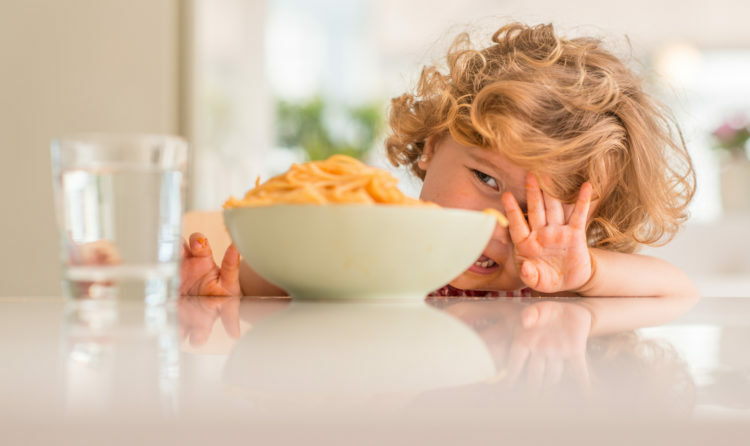 Oftentimes, children with ASD have sensory aversions that cause them to avoid foods with certain textures, odors, or flavors. Certain disorders, such as food intolerances and gastro-esophageal reflux disease, also tend to be more common among children with ASD. You should see a physician if you are concerned that your child may be malnourished. There are some simple strategies that you can use to encourage healthy snacking habits in your child. Make sure that you keep your family’s snack and mealtime routines consistent so that your child feels comfortable and knows what to expect each day. Always include some of your child’s favorite treats along with healthy snacks. Try to stay positive during snack times, even if you feel frustrated or anxious about your child’s eating habits. At The Behavior Exchange in Plano and Frisco, we help families with children with ASD reach their full potential. To learn about our ABA therapy options, our supportive summer camps, or any of our other services, call (972) 312-8733 today. What Should Kids Know Before Entering Kindergarten? Entering kindergarten is a major milestone in every child’s life. But before your little one heads off to school, you’ll need to make sure he or she is well prepared for it. Kindergarten readiness is one of the reasons why early intervention is so important for children with autism. 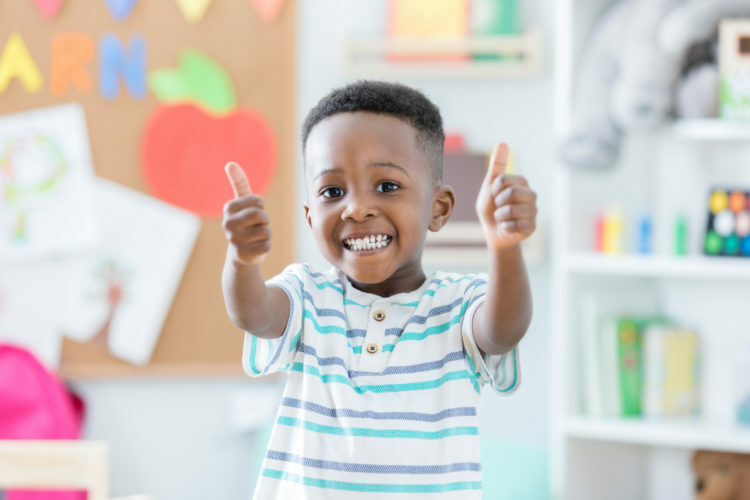 A behavior analyst can help your child learn crucial academic, social, and behavioral skills that prepare him or her for success in the classroom. During their time in kindergarten, children make remarkable progress with reading, writing, and speaking. 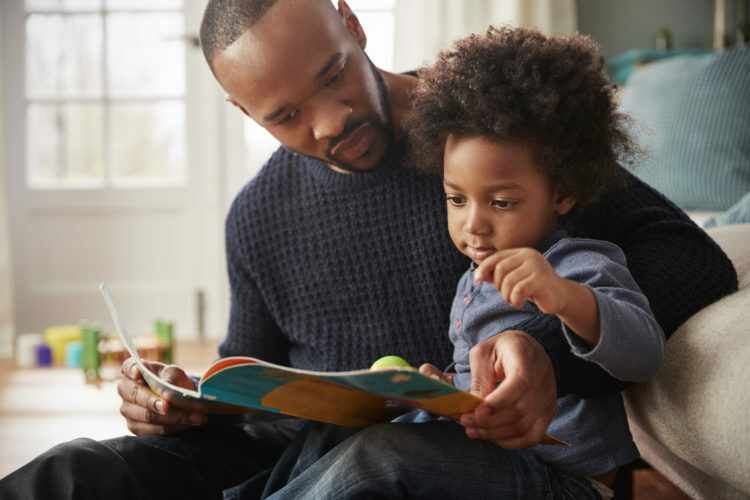 To help future kindergarteners get ready, parents should spend time reading to their kids every day. Sing children’s songs and nursery rhymes to help kids learn the rhythm of language. Teach your child to sing the alphabet song with you, and to recognize the letters of his or her first name. 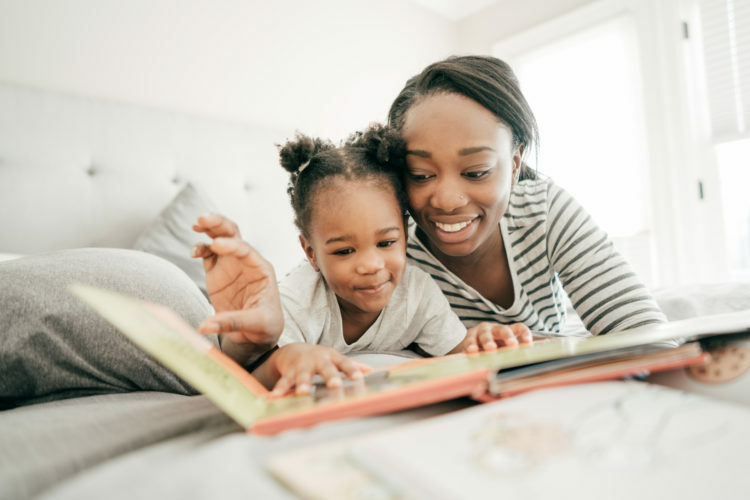 You can also help your child learn the “rules” of reading, such as that English is read from left to right, and that books are read from front to back. In kindergarten, children are taught how to count to 100, add and subtract within five, and sort and categorize objects. You can help your child get ready by teaching him or her how to count to 20. Help your child understand that smaller numbers lead up to bigger numbers. Make math seem less abstract and more concrete by counting similar objects. The Behavior Exchange Early Start Program (B.E.E.S.) can help your preschool-aged child get ready for kindergarten. Our ABA school near Plano and Frisco, Texas covers crucial academic, language, social, and motor skills so your child can get ready to achieve! You can get in touch today at (888) 716-8084. 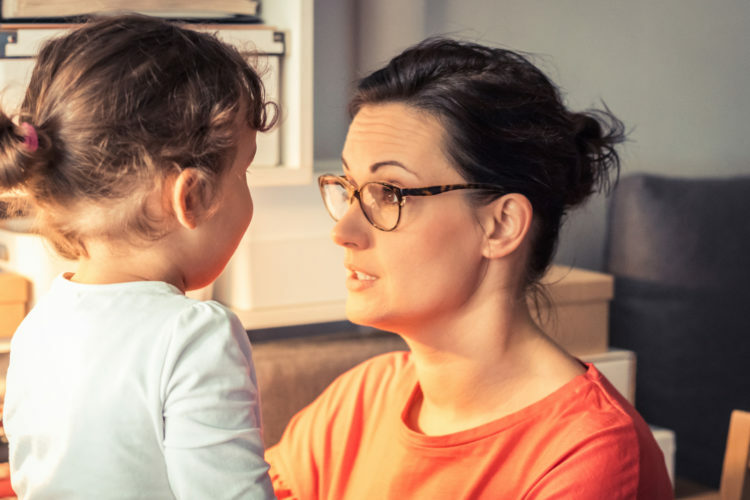 One of the hardest jobs a parent will face is teaching a child to accept the word “no.” If your child has autism, it’s a good idea to speak with his or her behavior analyst about this issue. You may learn, for example, that you have been inadvertently reinforcing negative behavior. This often includes giving in to the child’s demands after he or she displays a negative reaction upon hearing the word “no.” By giving in to the child’s demands, the parent teaches the child that this negative behavior will bring favorable results. Applied Behavior Analysis (ABA) can help. The therapist may first introduce your child to the word “no” in low-stress situations. Let’s assume that Benny likes popsicles and yogurt equally. Benny asks for a popsicle. The adult would say, “No, you can’t have a popsicle, but you can have yogurt.” Problematic behavior is ignored, rather than reinforced, and good behavior is rewarded with the yogurt. The child will need lots of practice learning to accept “no” in these low-stress situations in order to tolerate the word in other situations. Evidence-based personalized ABA therapy is available in Plano at The Behavior Exchange. Call (888) 716-8084, and our compassionate ABA therapists will help your child learn to exchange negative behaviors for positive ones. Going to school is an exciting time for children and their parents. To ensure your child with autism has the support he or she needs in the classroom, keeping an open dialogue with the teacher is essential. At The Behavior Exchange, one of the roles that we play for the families that we support is being an advocate at your child’s school to ensure that he or she has access to the tools that he or she needs to be successful. As a parent, you are on the frontlines of your child’s day-to-day experience in the classroom, so it’s important to speak up and ask questions when you have them. To get the conversation started with your child’s teacher, consider asking these questions. What is your experience with children with autism? 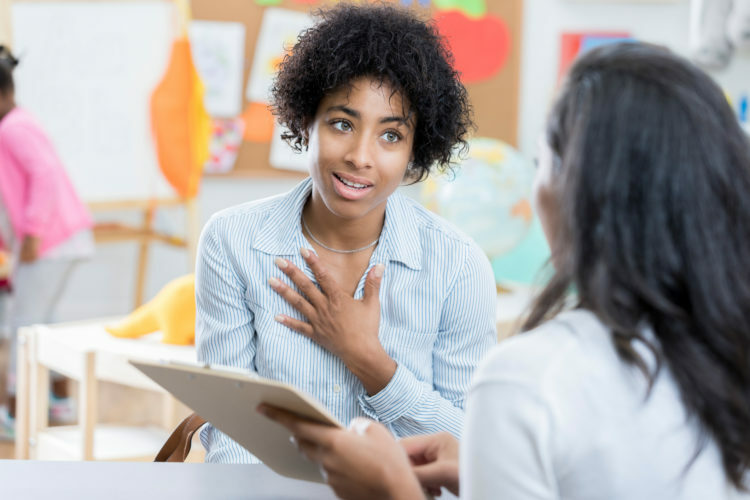 Often, teachers are aware of autism and even may have had students in the past who had been diagnosed with it, but they may not have the level of experience and understanding that they need to help your child in the classroom. The more your child’s teacher learns about autism and about your child’s needs, the more productive the school year will be for both of them. Find out what your child’s teacher knows and needs to learn more about, so you can provide helpful information when necessary. What behavior plan do you use? Every teacher has a behavior plan that he or she uses in the classroom. This plan may include standards for behavior as well as consequences for undesired behaviors and rewards for meeting expectations. In some cases, the structure of the plan may not be appropriate for a child with autism. By discussing the plan and working with the teacher to make tweaks that will work for your child, you can address behavioral concerns before they become a problem. Just because you see your child’s teacher in the carpool line, it doesn’t that that is the best time to chat. Ask your child’s teacher if phone calls, emails, or conferences work best, and stick to those preferences. Doing so will help you have productive communication. The Behavior Exchange is here to be your child’s advocate in the classroom and throughout his or her educational career. Contact us today at (888) 716-8084 for more information ABA therapy in Plano and our school services. For children with autism and their families, mealtime can often be a struggle. If your child is having difficulties at meals, be sure to discuss the issue with his or her ABA therapist or to ask for advice during a parent training session. These strategies may also be helpful. Sometimes, children with autism have other medical issues that can interfere with their eating habits. These problems can range from cavities to digestive discomfort and acid reflux. Your child’s physician may screen for these conditions if mealtime is a challenge. If your child is having any of these issues, then addressing them could be the solution. There are many potential triggers for anxiety during mealtime, including the introduction of new foods, bright lights, and loud noises. In some cases, mealtime behavior issues are tied to these stressors. Creating a pre-mealtime routine that helps your child feel calm and confident can help. In some cases, simply sitting together for a short session of deep breathing can be helpful. Your ABA therapist can offer other suggestions for routines that can create a sense of calm before you sit down for a meal. Your child may take comfort in the routine itself and feel calmer when it’s time to eat. Eating as a family can easily fall by the wayside with busy schedules and a long list of demands, but doing so can be invaluable for your child with autism. When you all sit together and eat at the same time, it shows your child that mealtime is a normal activity for everyone to take part in. Likewise, your child will be more inclined to try different foods after watching you eat them. 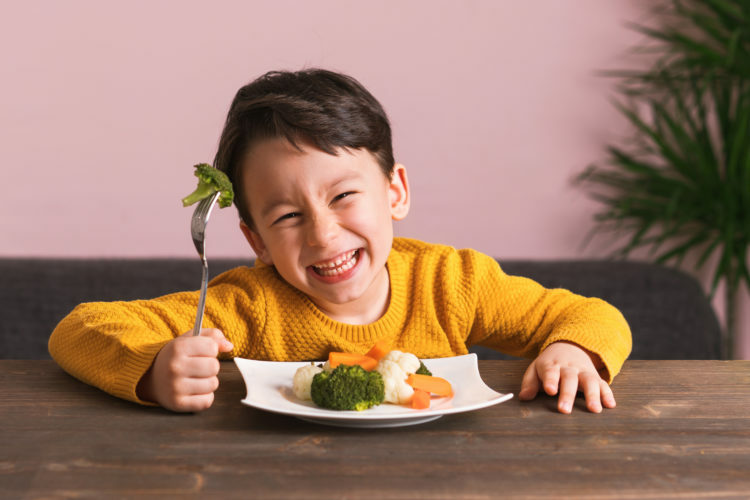 At The Behavior Exchange, our ABA therapists can help you turn mealtime into a positive experience for your family through group therapy, one-on-one sessions, parent training, and much more. Get answers to your questions about our services by calling our autism treatment center in Plano at (888) 716-8084. Whether a child is typically developing or not, he or she can benefit from a structured environment and a predictable daily routine. Children with autism are particularly sensitive to changes in routine, and many of them have difficulty adapting to them. Autism therapy can help your child learn how to adjust to changes more easily. 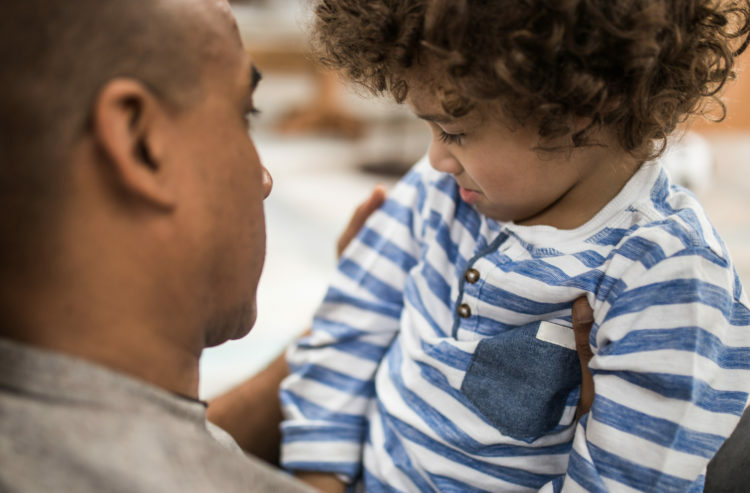 If your family is anticipating a major change in routine, you can talk to the ABA therapist about transitioning your child. You know your child best. By now, you probably have a general idea of what sort of changes upset your child. It could be a major change like going on vacation or a relatively minor change like going to the dental office. Some children with autism have trouble switching between toys or activities. Doing routine tasks in a different order and unexpectedly canceling planned activities may also cause issues for your child. Once you’ve identified changes that might upset your child, you can prepare him or her for them. Explain what’s going to happen and when. You can use social stories to help your child learn what to expect from the new event. A social story is a simple, straightforward depiction of an activity using pictures and words. Your child may feel more control over the situation with the use of timetables. You can create a timetable for every day of the week to let your child know what’s going to happen. You could print the start and end time of the event next to a picture depicting it, but some children get upset if things take longer or end sooner than expected. Another option is to simply depict the events in order. Use a picture of a bathtub and then a plate of food to tell your child that he or she will take a bath before dinner. If your child is still having trouble transitioning between activities, try setting a timer. Tell your child that when the timer rings, it’s time to put away the toy and start another activity. Here at The Behavior Exchange, we firmly believe every child is capable of leading a happy, well-adjusted, and productive life. Our board-certified behavior analysts in Plano would like to help your family cope with the challenges of autism. Call (888) 716-8084 to request an appointment. It’s a common misconception that children with autism who are nonverbal cannot learn how to read. In fact, all children are born learners. However, some of the traditional methods of literacy instruction may not work. Parents can’t ask the child to sound out letters out loud, for instance. But there are other ways of teaching a child to read. Your child’s ABA therapist can help you get started with reading lessons at home. Whether or not a child is nonverbal, it’s absolutely crucial to read with him or her every day. Shared reading encourages language acquisition, letter and word recognition, and reading comprehension. Reading together helps feed your child’s curiosity about the world. Encourage nonverbal interactions with books. Children with autism who are nonverbal can interact with the story even if they can’t have a conversation about it. First, get into the habit of “underlining” each sentence with your finger as you read it. Later, you can ask your child to trace underneath the words. You can also ask your child to turn the pages for you. The two of you can act out the story, perhaps using props like stuffed animals. Your nonverbal child probably already uses an augmentative and alternative communication (AAC) device. You can use this to supplement the reading lessons you do with your child. Download pictures and their accompanying words that are related to the story. If the story is about the ocean, download pictures to depict the ocean, fish, whales, and ships. Encourage your child to use the symbols to discuss the story with you. Your child’s AAC device should always display the words next to their pictures. If not, adjust the settings. As your child starts to recognize words, try reducing the size of the pictures and increasing the size of the words. The Behavior Exchange provides a complete spectrum of autism therapy services in the Plano area. These include school consulting and advocacy services, such as IEP evaluation and drafting. Parents can reach our autism treatment center at (888) 716-8084. Children with symptoms of autism can benefit from highly structured, scheduled routines. In fact, parents often report that their children exhibit more behavioral issues during unstructured “down time” than during scheduled activities in school or in the ABA therapy classroom. You can work with your child’s therapist to develop appropriate activity schedules for your child. These are visual aids that may be posted on a wall for your child to follow. As an example, you could post an activity schedule for your child to follow after school. Print out a clear image of each activity. Tape the pictures to a large piece of cardboard in the order in which your child should complete them. Remember to provide your child with everything he or she will need to complete each activity, and consider using a timer to help your child transition from one activity to the next. The Behavior Exchange specializes in ABA therapy and parent training, which empowers families to create an ideal home environment in which children with autism can thrive. You can call 888-716-8084 to request a consultation at our ABA school in Plano.